John Darke Ltd has been a Ford Retail Dealer since 2008 and Volvo Authorised Repairer since 1982. 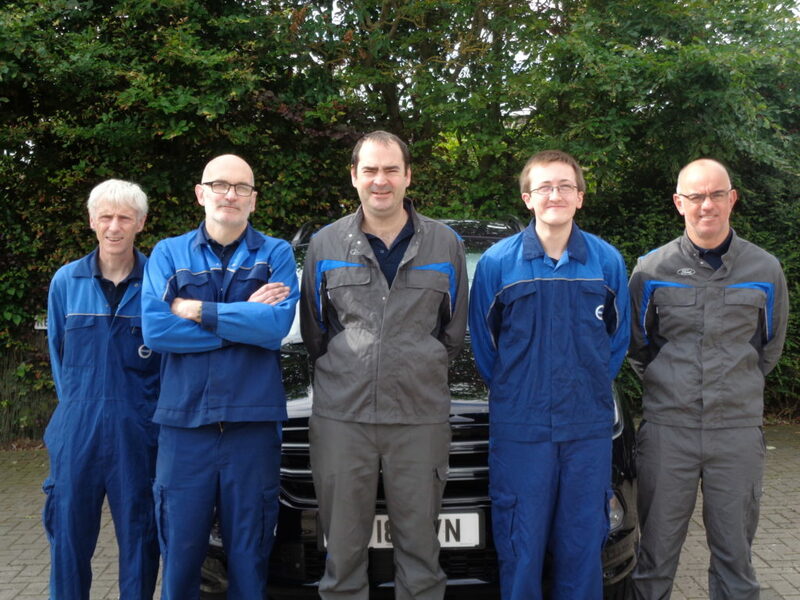 All staff, whether front facing or technical are fully trained to the highest levels and will regularly attend Ford & Volvo training centres to maintain their in-depth product and technical knowledge. We only use genuine parts and OEM tooling and offer every type of service from simple repairs to full servicing. Being a market town dealership we do not have the overheads of a larger centre. This allows us to charge one of the most competitive labour rates of any dealership in the country. Speak to one of our Service Advisors for more information. Do you want more power from your Ford? If so, you need to know more about the Mountune Performance Upgrade.. These specialist performance kits are created to improve both power and performance from your Ford vehicles, often not affecting your vehicle warranty or insurance. Mountune are the only performance upgrades offering protection against mechanical failure for up to 3 years and are supported with a 12 month/12,000 mile warranty. As an approved Mountune dealer, we are able to provide these performance upgrades to your vehicle. Costs of the upgrades are variable dependent on the model and year of your Ford. For more information please contact our Service Team on 01507 603451. Terms and Conditions. *Available with Ford Scheduled Services and Ford Motorcraft 4+ Minor and Major Services. **In-Dealership quality checks are conducted by the RAC on any service and repair work that has been completed on customer-owned vehicles to ensure that Ford Motor Company’s high standards are met. ***Ford Roadside Assistance is only available with Ford Scheduled Services and Ford Motorcraft 4+ Minor and Major Services. Ford Roadside Assistance applies to all vehicles regardless of age or mileage, excludes fleet vehicles and is valid from the date of service for 12 months or until the next service is due, whichever comes first. Ford Roadside Assistance applies to the serviced vehicle only. We offer a full aftersales experience from car servicing, warranty, accident repairs, hire cars and vans through to replacement tyres and valeting.